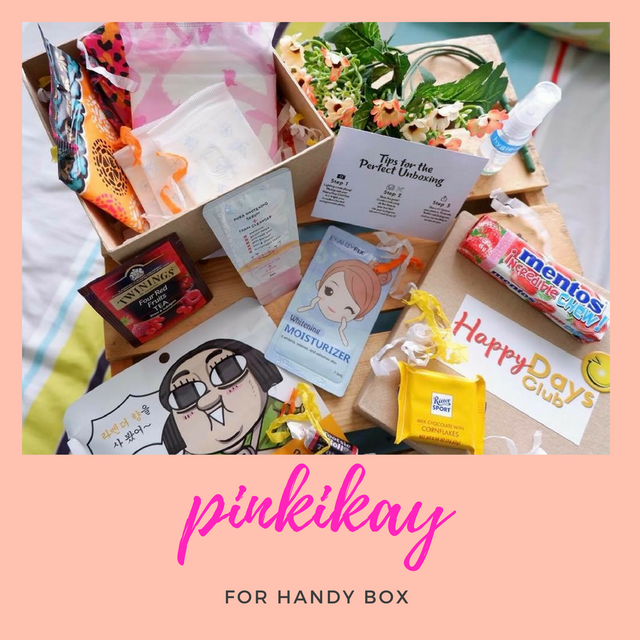 5 Instagram Worthy Places In Malaysia | Beauty, fashion and everything in between! Malaysia occupies parts of the Malay Peninsula and the islands of Borneo. 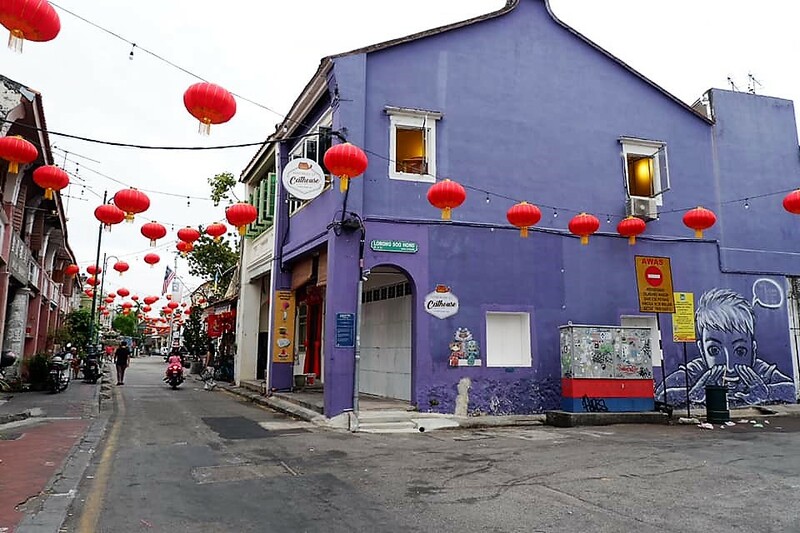 It has a diverse culture with a good mixture of Chinese, Indian, and European influences. 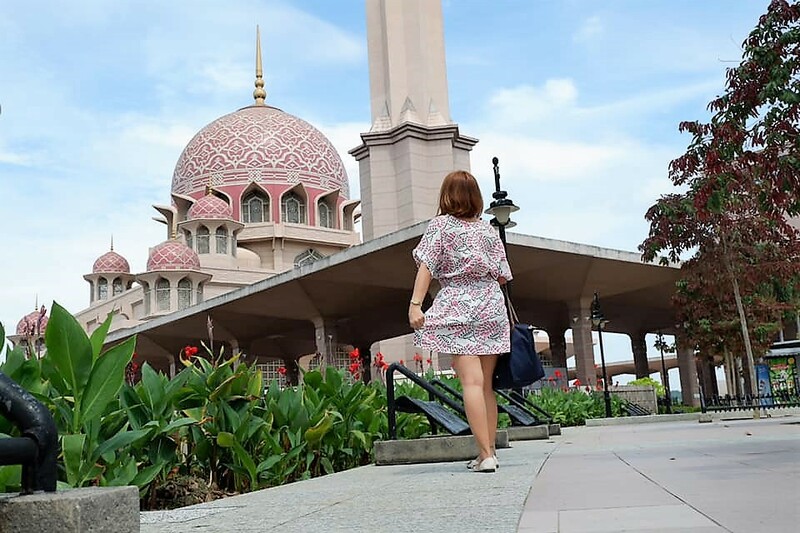 Recently, I had the chance to tour the beautiful country of Malaysia and there are a lot of beautiful places worth visiting and definitely deserves a spot on your Instagram feed. 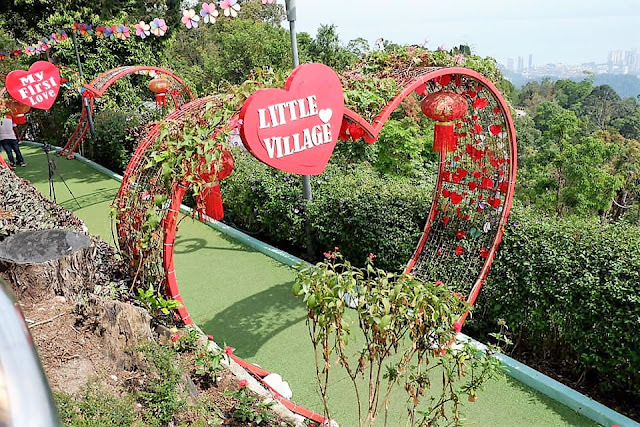 Sharing with you 5 of the most Instagrammable places in Malaysia which you need to visit at least once in your life! You have never been to Malaysia if you have not visited these twin skyscrapers. Petronas Twin Towers was recognized as the world’s tallest building from 1998-2004 and still holds the title “tallest twin towers” in the world as of writing. This iconic place is located in the heart of Kuala Lumpur. Coming from KLIA2, take the bus going to KL Sentral station which cost MYR12 or take the KLIA Line going to KL Sentral for MYR14. I am a fun of long travel given that I don’t have appointments. I always take the bus and it usually takes 45 minutes from KLIA2 to KL Sentral. From KL Sentral, buy a ticket going to KLCC from Rapid KL LRT. Board the train going towards Gombak and alight at the 5th stop which is KLCC station. The train journey will be around 10-15 minutes. 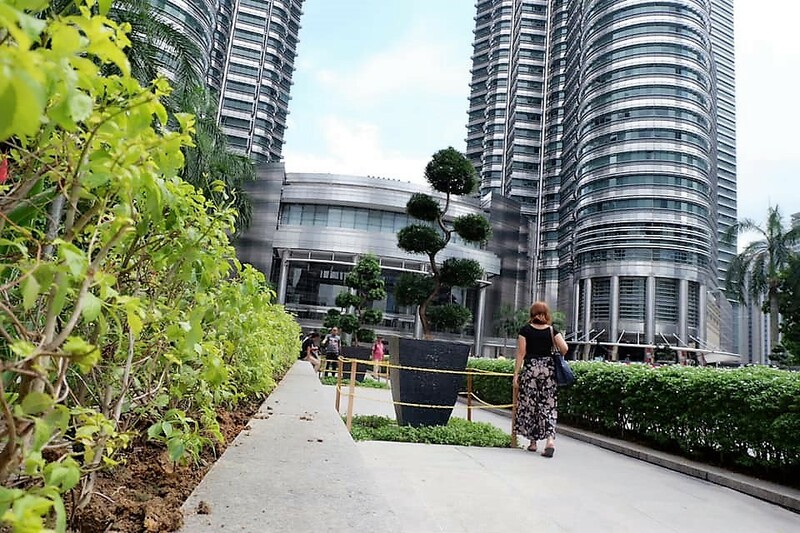 Look for the exit leading you to KLCC and you will immediately see the tall Petronas Tower as soon as you exit from the station. One way ticket is MYR4.30 The Suria KLCC is a mall directly connected to KLCC station where you can do your shopping and food trip. 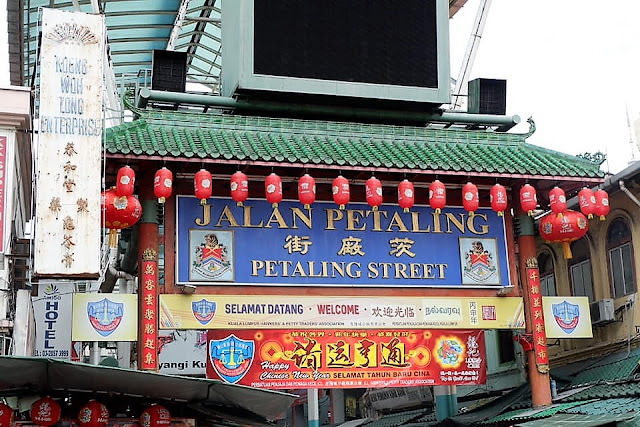 Penang is listed as UNESCO World Cultural Heritage Site in 2008. If you want to trace back history, get in touch with nature and be amazed by the breathtaking view, then a visit to Penang is a must! Penang is a state in northwest Malaysia whose main islands include Seberang Perai and Penang Island. Going to Penang can either be by plane, by bus or by car. My Malaysian friend told me that if you have a Philippine driver’s license, you can rent a car and drive on your own. But be careful because, in Malaysia, it’s right-hand drive. If you are taking the bus, you can either get a ride from KL Sentral or at Terminal Bersepadu Selatan (TBS). The earliest bus leaves at 12:15 AM and will take approximately 4-4.5 hours. The fare is MYR35 or more depending on which bus you are taking. Buses are very comfortable because it can be reclined and only have 3 seats per row (one single and the other side have two seats.) Some bus has WiFi on board but it does not have a USB port for charging. If you want meals on board, WiFi and USB port, you may take Aeroline which departs from Corus Hotel and cost around MYR60. Penang has two terminals namely Butterworth and Sungai Nibong. If you alight at Butterworth, you will need to take the ferry to go to Georgetown. Bus ending in Sungai Nibong will cross the magnificent Penang Bridge so no need to take the ferry. The ferry ride is roughy MYR2-3 and is a 15-minute journey. 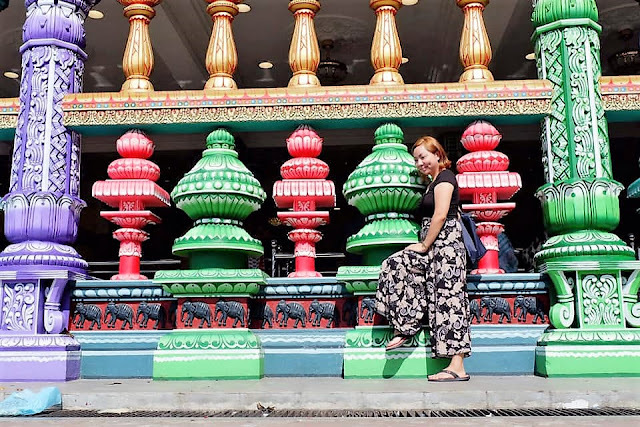 George Town is the capital of Penang where you can see a little bit of everything—beach, tall buildings, colorful temples, and mouth-watering food. From Sungai Nibong, you can board on buses with a signboard of Jetty then tell the driver to drop you off George Town. The fare is around MYR2-3 and travel time is estimated at 10-15 minutes. If you are at Butterworth, George Town should be walking distance after the ferry ride. 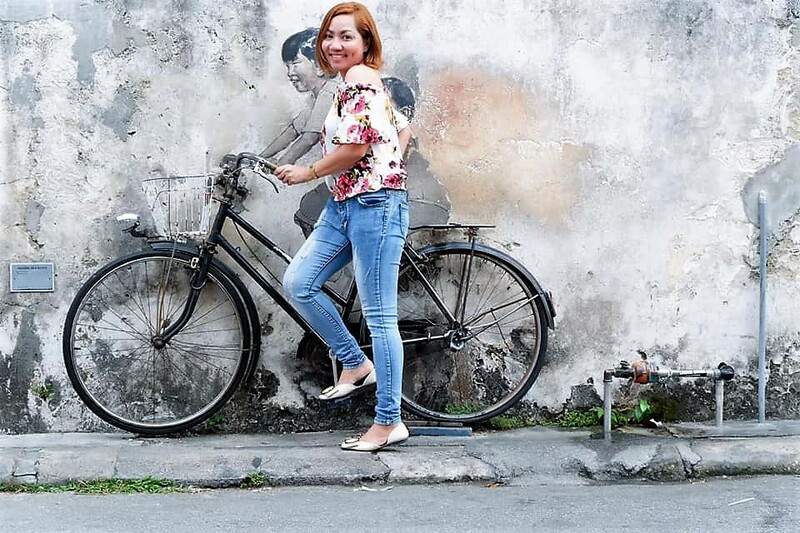 Penang is filled with colorful murals that are worth every snap. 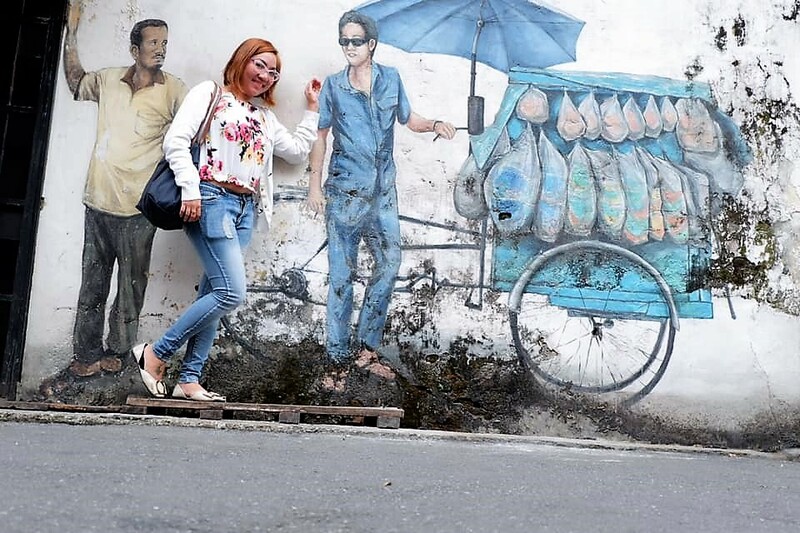 Murals can be found in streets of George Town and will practically see these masterpieces while exploring the town. Clan Jetties are part of the Penang Heritage Trail. Originally, there were seven jetties until one was caught in a fire and now only have six remaining. Clan Jetties is also in George Town and is open from 9AM-9PM. These water villages are more than 100 years old. 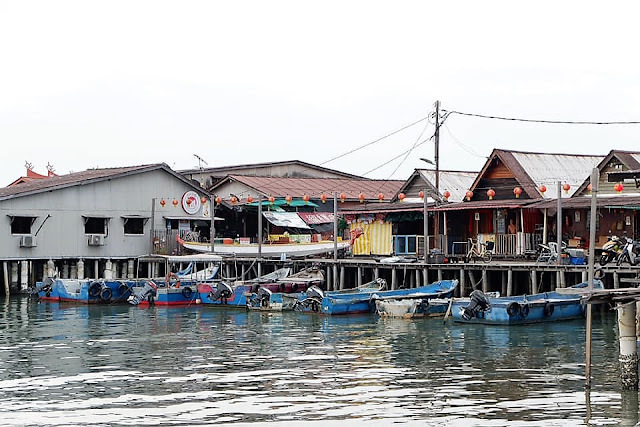 Each Jetty is named after a Chinese clan and Chew Jetty is the most tourist-friendly, has the longest walkway and has a temple worth visiting. Entrance is free but you can help the community by buying some souvenir. Located on a hilltop at Air Itam, Kek Lok Si is the largest Buddhist temple in Malaysia. The complex has 3 zones and the temple grounds consist of the hill entrance, a souvenir shop food and drinks stall, and turtle pond. 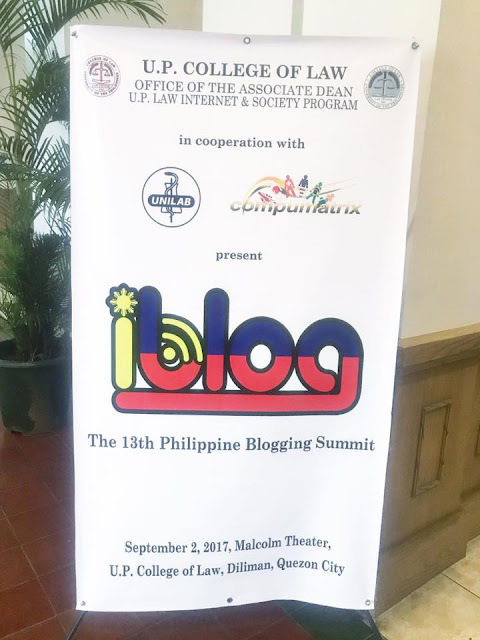 Entrance is free! 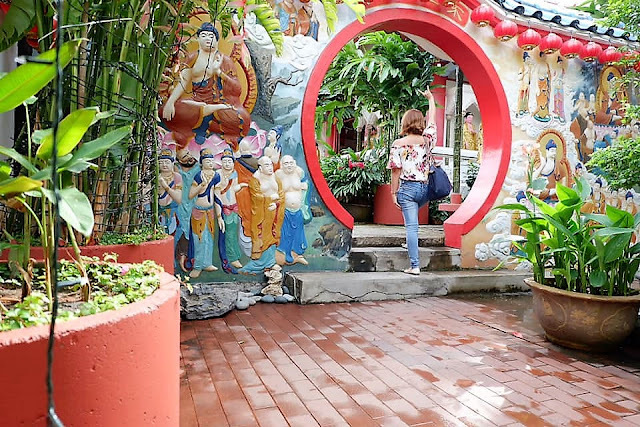 From George Town, Head towards Komtar Central Station and ride either bus 201, 203, 204 and tell the driver to drop you at Kek Lok Si and walk your way towards the temple. Going up can be tiring but the view and the intricate details of the temple is worth every climb. The fare is MYR2-3 and travel time is about 15-20 minutes. 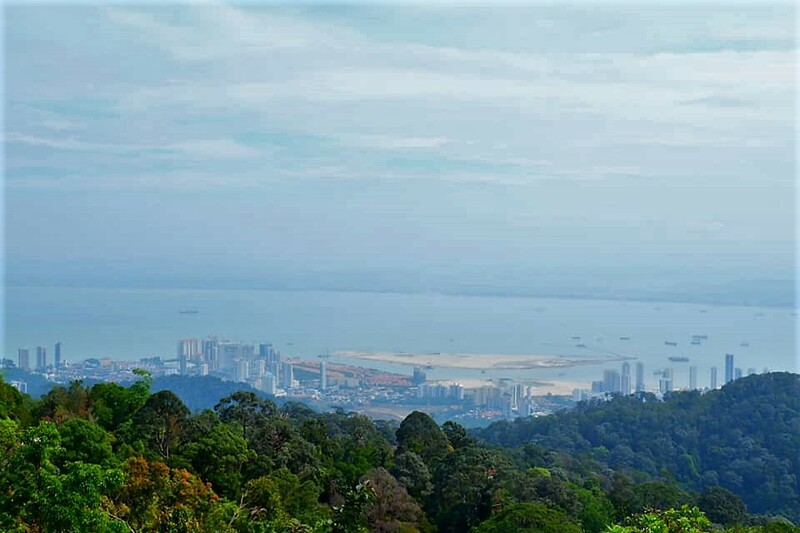 Known to Malays as Bukit Bendera, Penang Hill is a Hill Resort comprising a group of peaks in Air Itam. 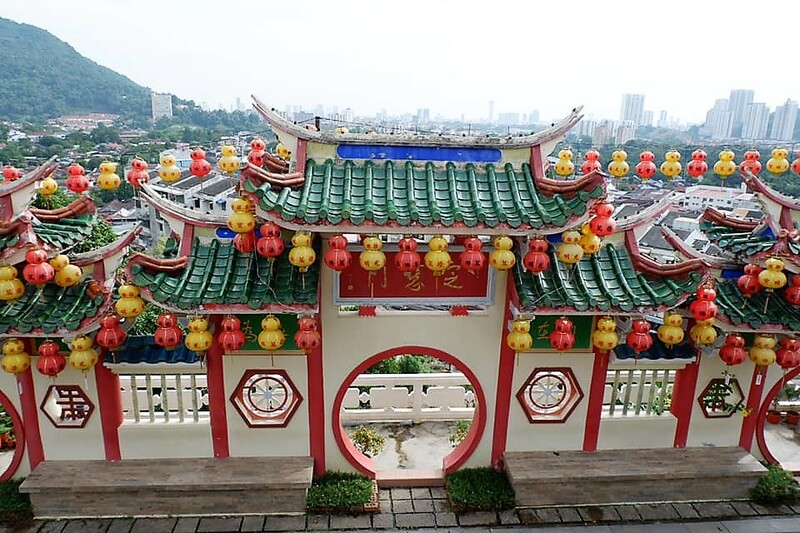 From the top, you can see the 360 views of Penang. 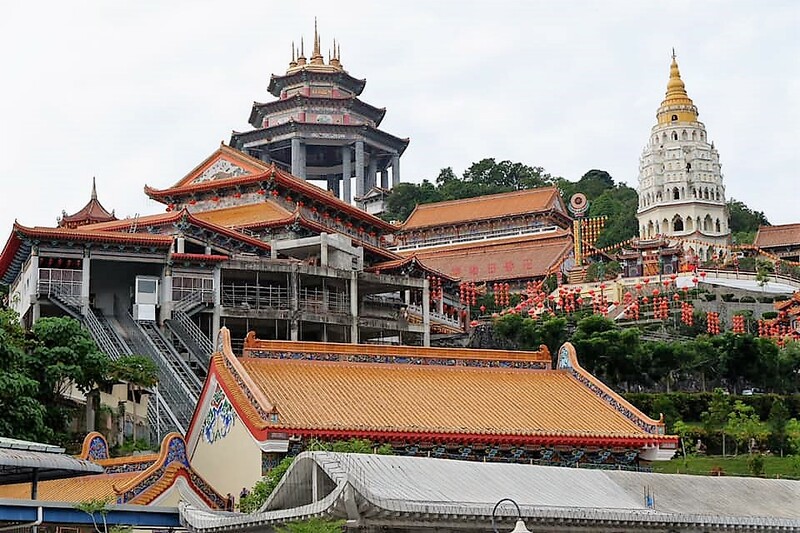 From Kek Lok Si, ride bus 204 and alight at Penang Hill which is one station away. The fare should not be more than MYR3 and probably a 5-10 minute bus ride. 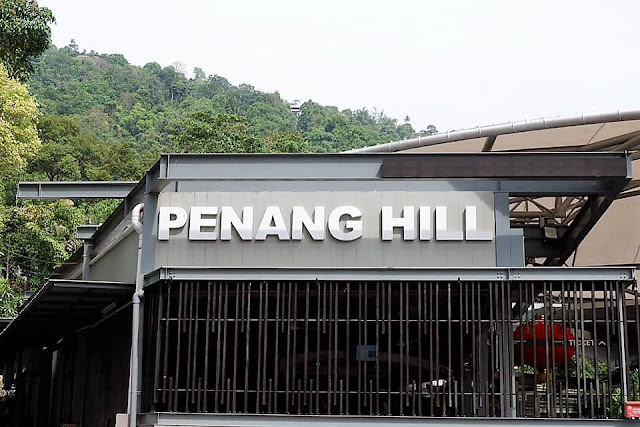 From Penang Hill station, you will have to take a train via the Funicular Railway which has the steepest tunnel truck in the world. 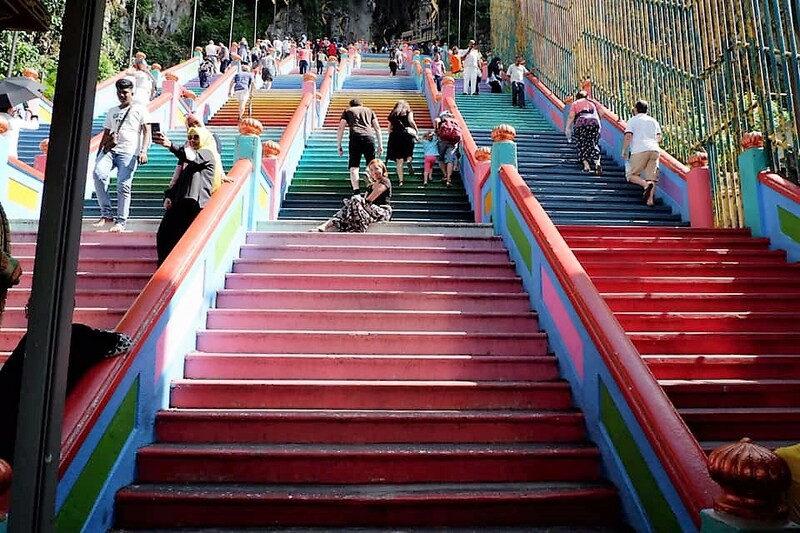 The fare is MYR30 and the ride will take approximately 5-10 minutes to reach the top. 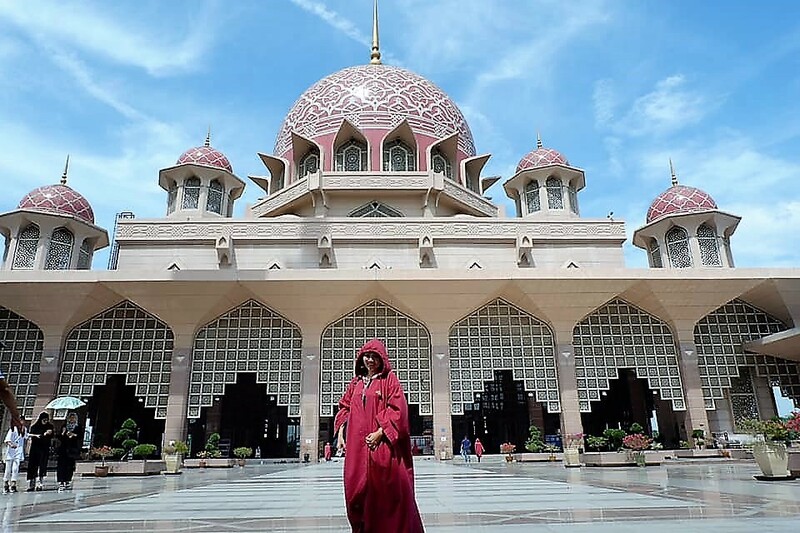 Known to many as the Pink Mosque, Masjid Putra is the principal mosque of Putrajaya. Construction of the mosque started in 1997 and was completed in 2 years. The mosque is surrounded by Putrajaya Lake and is made using rose-tinted granite which gives it a pinkish hue. 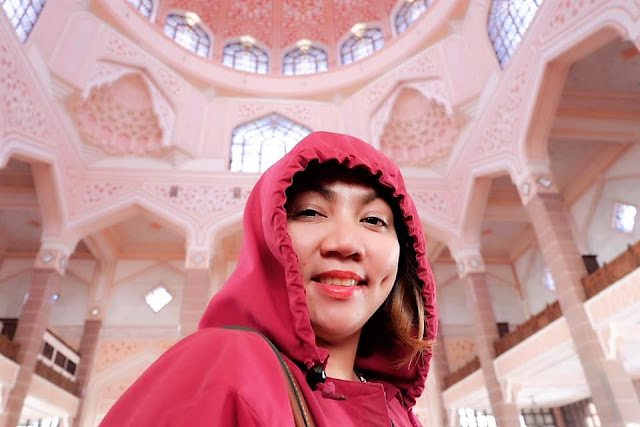 Before entering the mosque proper, they will give you a pink robe that you need to wear. Entrance is free as well as the use of robes. From KL Sentral, buy a ticket from KLIA Transit going to Putrajaya Cyberjaya. It is the second station from KL Sentral and travel time is between 15-20 minutes and the fare is MYR14. 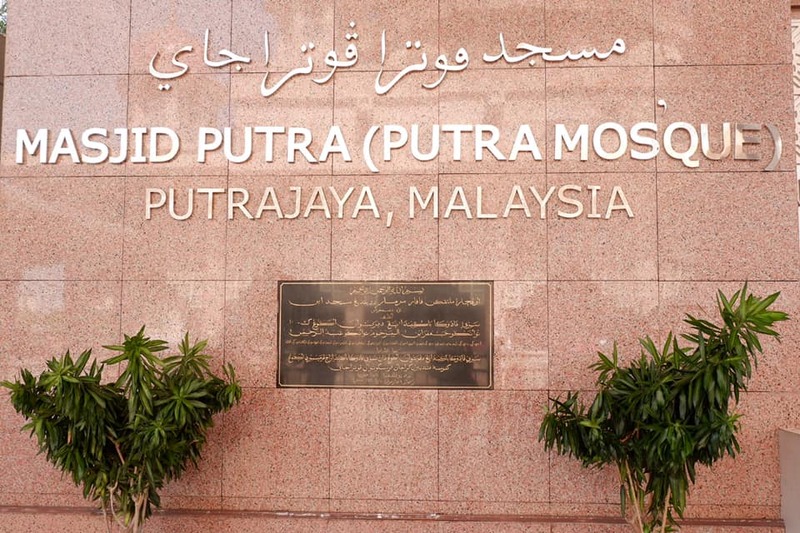 From Putrajaya Sentral, ride L15 bus and get off at Masjid Putra. Travel time is around 10-15 minutes. You will need to purchase the Putra Pay card from the bus driver which will give you at least 3 rides around Putrajaya. A limestone hill located in Gombak, Selangor Malaysia, Batu Caves offers a series of caves and cave temples. The most frequented spot at Batu Caves is the world’s tallest statue of Murugan, a Hindi deity. The statue is made of 1550 cubic meters of concrete, 250 tonnes of steel bars and 300 liters of gold paint brought in from neighboring Thailand. Another famous spot is the colorful 272 flight of steps that leads to the Cathedral Cave or Temple Cave. 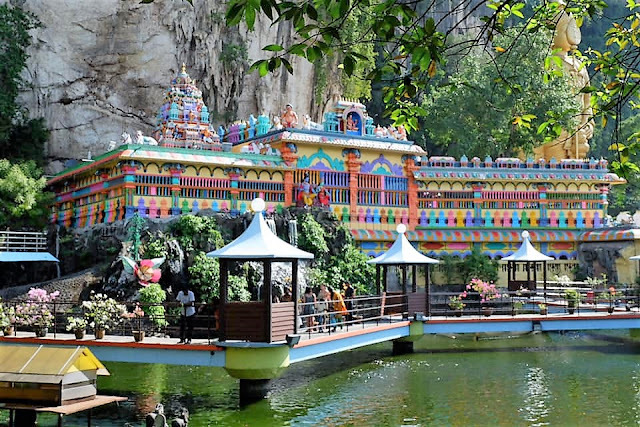 There are 2 other caves at the base of the hill namely Art Gallery Cave and Museum Cave which houses Hindu Statues and paintings. 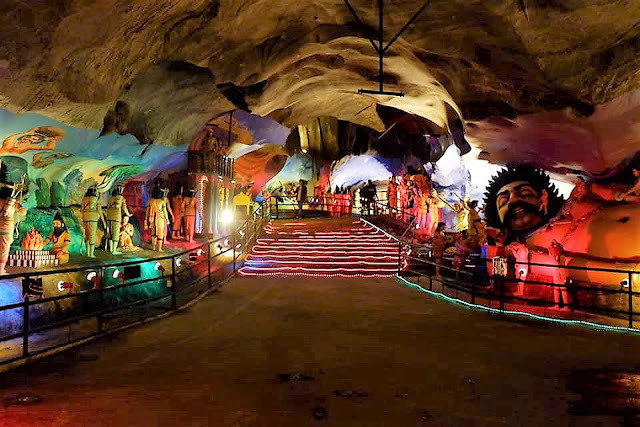 The entrance fee to Batu Caves is free but if you want to visit the Dark cave, be ready to shell out MYR30 inclusive of a flashlight, helmet, and a tour guide. 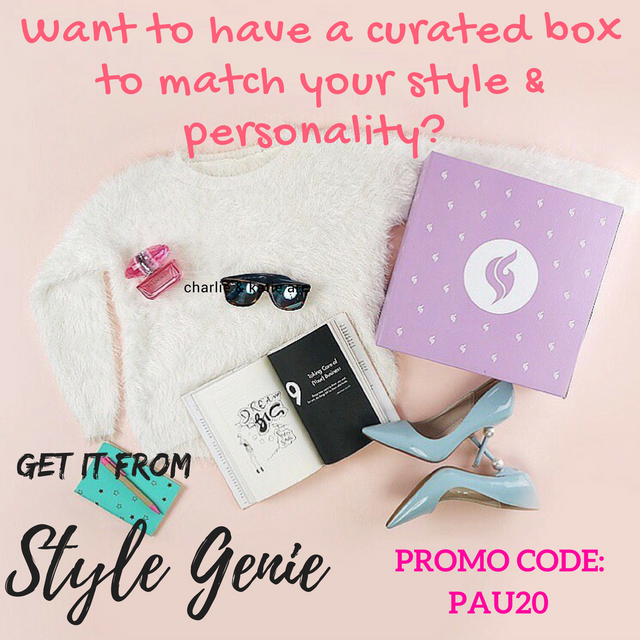 There is also a mini zoo with a minimal fee. Be reminded to wear pants and refrain from wearing too revealing clothes as this is a worship place for Buddhist. From KL Sentral, go to KTM line and buy a ticket going to Batu Caves and alight at Batu Caves, the last station. 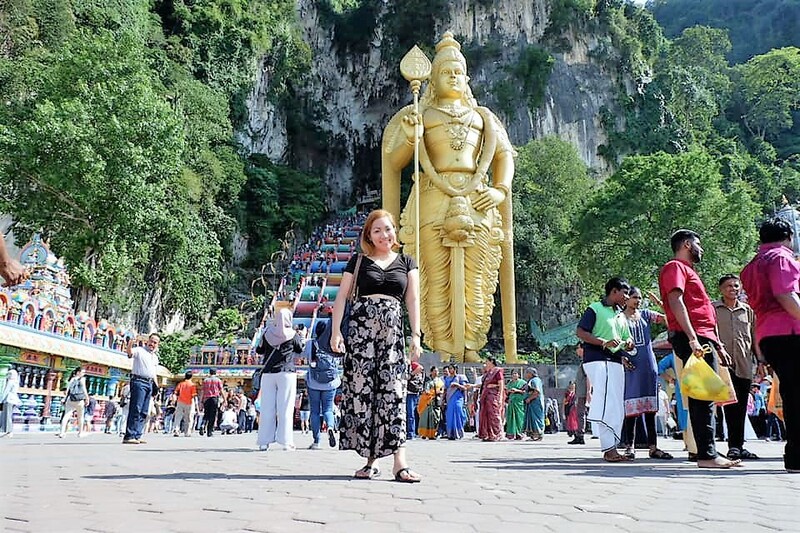 Journey to Batu Caves will take around 40 minutes and will cost roughly MYR5. China Town has always been known for its cheap products, authentic Chinese dishes, and the interesting world of the Chinese community. 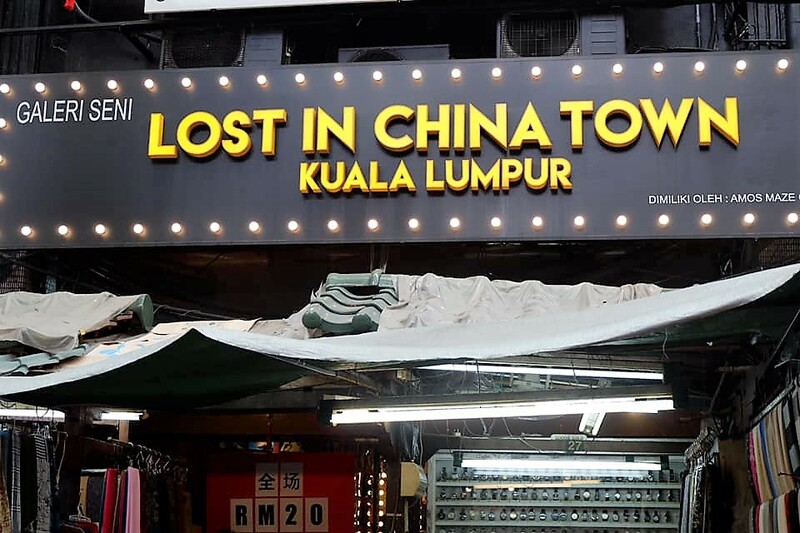 And China Town in Malaysia is no exemption. 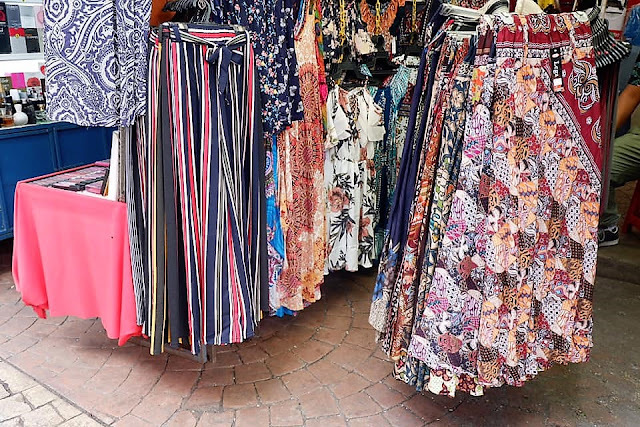 Bursting with life and colors, China Town offers a wide array of products ranging from fashion pieces, accessories, toys, kitchenware and a lot more! Petaling Street is known as the fashion street while Central market has established itself as an art haven where local artists sell their masterpieces and crafts. 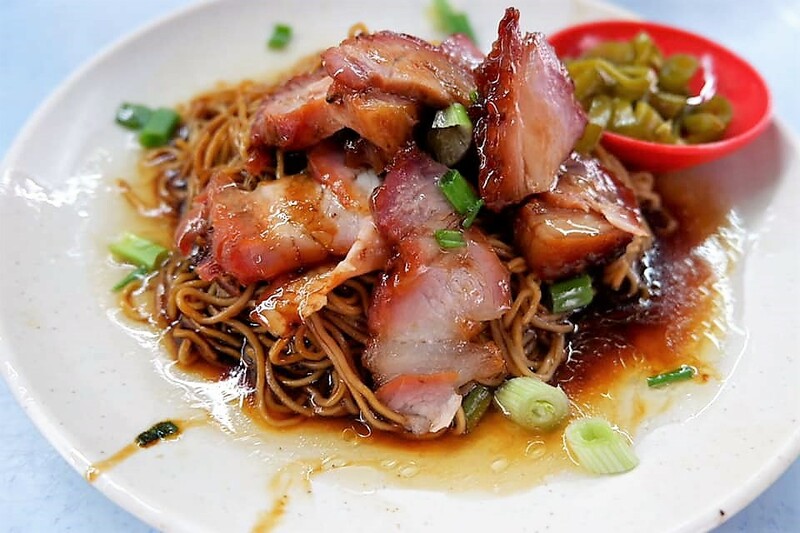 Legit Chinese cuisines are almost everywhere so those on diet might find it difficult to resist the urge to go on a food trip. From KL Sentral take the Rapid KL LRT and head towards Gombak. 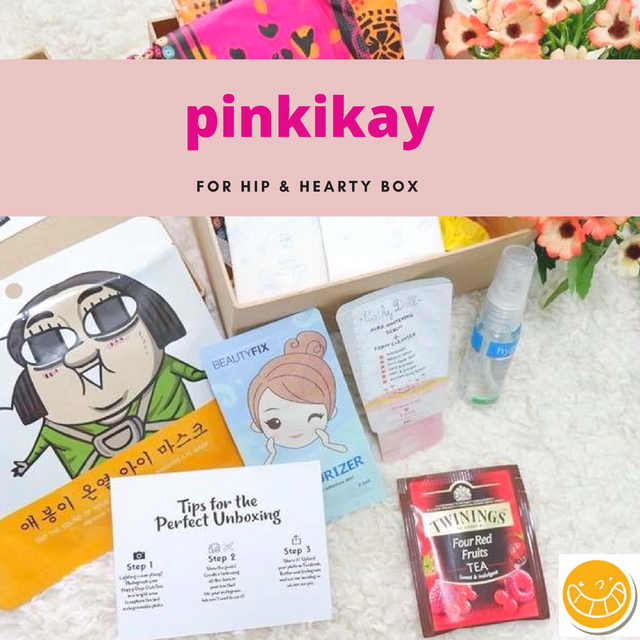 Go down at Pasar Seni station which is only 1 station away from KL Sentral and will cost roughly MYR2-3 and you should be in China Town in 5-10 minutes.